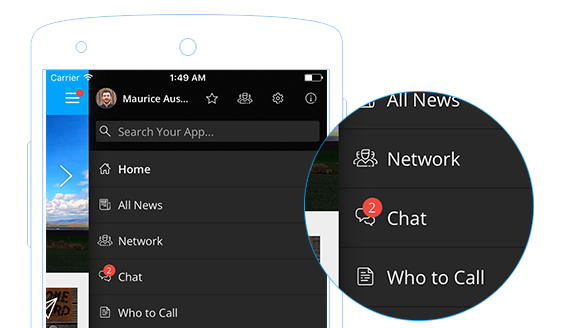 Stay on top of unread news and chat messages: Notification badges show if there is unread content in your app. Through small markers and counters in the app's menu, header, and browser tab, your employees are directed to the news channel or chat where something new has appeared. This subtle highlighting notifies your employees about recent activities so that they're more engaged with the app and they return regularly, even without having been sent a push notification. The new notification badges work in the app as well as the web client. Ever since we began providing employee apps we've been pushing the goal of digital employee communication. But that goal has challenges. 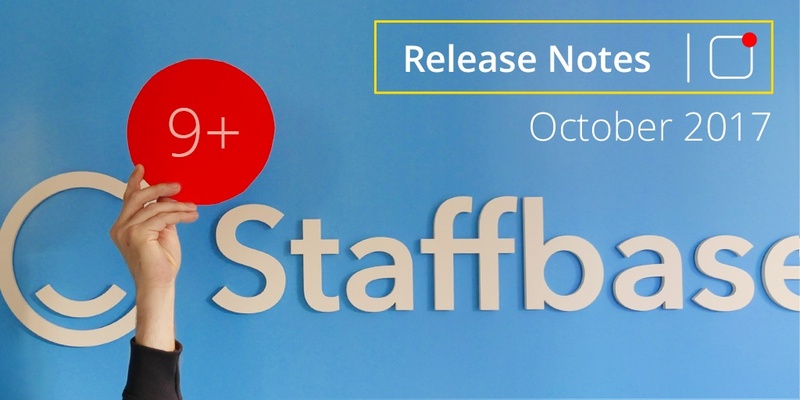 Staffbase now allows for employee information to be printed in cases when the ability to do so remains crucial, ultimately helping your internal communications department to achieve a vibrant, engaging employee experience app. Being able to print your news articles in an appealing format can help to ease the transition to digital employee communication. Simply use the new Print on Demand feature that lets you select one or more articles from a searchable list to create PDF documents. 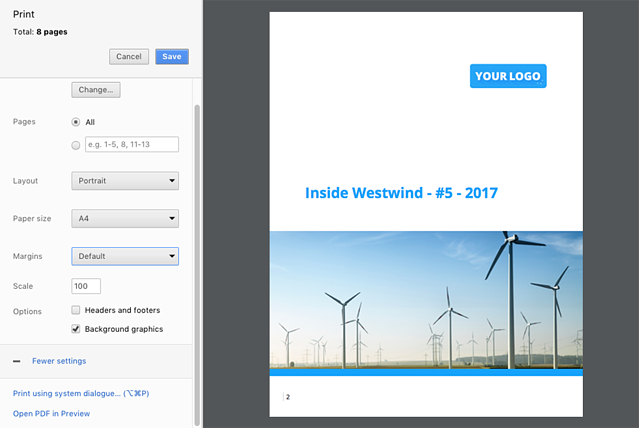 Customize the printout to your needs by adjusting the title page and optionally appending a last page. Please get in touch with your account manager if you're interested in this helpful add-on. 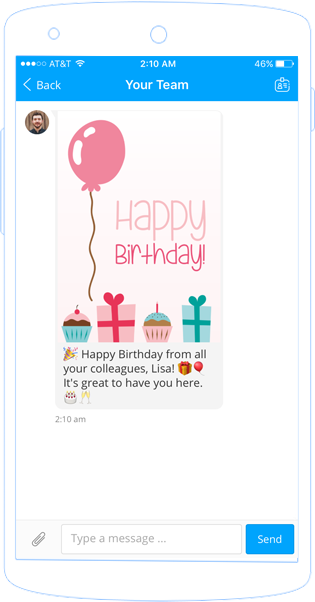 As simple as it sounds, congratulating your employees on their birthday or anniversary is a huge step toward creating a positive and appreciative employee experience. The setup is really easy: First, you provide individual dates per employee when importing your user data to the app. On the specified date, the notification bot will then automatically send a message of your choice to the employee. On top of the use case mentioned above, there's so much more that can be done with automated personal notifications. For example, congratulating employees on their 100th day with the company or even celebrate their name day. Be creative! Contact your account manager for more information and setup details. Even though digital transformation is one of the most exciting topics of our generation, there is still a large part of today's workforce who lack a corporate or personal email address. It's a challenge to effectively communicate with non-desk workers when your existing digital channels—like email and intranet—don't work for them. By providing seamless onboarding options for all of your employees, Staffbase continues to bridge this digital communication gap. The new method is based on providing employees with a username and a password. It further simplifies the user flow by providing the same experience during the first and subsequent logins. In contrast to our existing options, you can make the app truly accessible to everyone by deciding to not ask employees for their email address. Onboarding is one of the most crucial steps in your journey to reach everyone, and this new method is part of our continuing efforts to improve the user experience from the very beginning of the employee life cycle. For more information, please reach out to your account manager. On our journey from an employee communications app to an employee experience platform, integration with existing services is becoming the bread and butter of Staffbase. 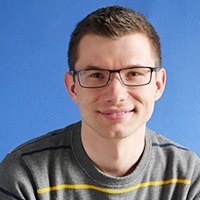 The new SAML connector plugin takes a great step in that direction. It allows you to integrate SAML-based applications (e.g. Microsoft ADFS) into your employee app in such a way that the user is automatically signed in to the other service. Imagine all your employees can easily access services like pay stubs, leave requests, shift plans, or your corporate calendar anytime from within the app. Contact your Account Manager to see if this can be a fit for your app. New interface localizations for Italian, Slovak, and Czech languages. GIFs are now supported for all image uploads throughout the whole app. It is now possible to target start page widgets to specific user groups. Using the same user ID and email address in multiple Staffbase apps is now supported, basically allowing companies to have several apps targeting overlapping user groups. Published a Plugin SDK for Java, PHP and NodeJS, as well as an example project for NodeJS to our GitHub page. Forms: Added the name of a form to the subject of the notification email, e.g. to identify it in an external system. Calendars: Added support for HTML-based formatting in event descriptions. Calendars: Added a link to open an event location directly in the respective maps app. News Feeds can now be exported via RSS to easily push your posts to other applications, like Slack. A detailed documentation can be found on our Developer Portal. New permission level “Restricted Reader” for API tokens that are limited to accessing only selected data of your app. Editors see the number of users who acknowledged a post directly in the channel overview. Editors can download a list of people who acknowledged a post. Password policies can now be adjusted individually through the admin security settings. The CSV import is now able to sync only a part of your user base, while leaving the rest untouched. Please contact us if you're interested. When configuring conditional user groups based on tags, admins can now also create entirely new tags rather than only selecting existing ones. Made sure that custom preview images of videos are always shown in the app. The video itself opens in a popup for viewing. Reduced file size for downloading and storing the app on devices. Improved password complexity pattern to match the OWASP guidelines. The sharing feature can now be used in the public area as well. This is still in beta, so please contact us if you're interested in sharing content to social media. When selecting users for a new chat, the app now shows additional information to better distinguish colleagues with the same name. Improved app support for browser login prompts within embedded pages and links, including Single Sign-On flows. The Plugin SSO has been enhanced to provide plugins with more information about the current user and app, e.g. the plugin instance name and theming colors. This also includes improvement for plugins running in anonymous mode, thus transmitting no data about the user. Forms: Improved plain text version of form notification email. Forms: Improved layout of forms admin view on small screens including the in-app editor. Calendars: Improved performance for using special characters in the event location field. Vast improvements for managing and selecting a large number of user groups as an admin. Improved switching between the steps of a CSV import by remembering the initially uploaded user data. Performance improvements for the admin content editor. Various performance improvements to ensure swift email delivery. Smaller compatibility fixes for iOS 11. Fixed incorrect search results for search terms longer than 20 characters. Fixed a crash on iOS when uploading images on devices that are not set to English or German. Fixed a minor security issue that allowed users to backup the app including data on Android. This potentially could have been exploited by attackers to gain access to the app on someone else’s device. Fixed a bug that prevented editors of a specific page to edit it in the app itself. Fixed an issue that broke some uploaded documents with umlauts in the file name. Fixed a bug that would not show new content directly after selecting open groups during first user onboarding. Fixed a bug that would not show everyone in the list of users who liked a comment. Fixed a bug that led to the start page not being refreshed anymore after resuming the app and navigating. Fixed navigation issues with the start page where linked pages would not open properly in a new view but replace the main view of the start page. Fixed horizontal scrolling for tables in content of the mobile app. Links to anchors (e.g. a specific headline within a page) now properly work in iOS and Android native apps. Clicking a link to other content of the app in a chat message now properly opens this content as expected. Improved inconsistent update post rendering throughout the app and some edge cases where the content is being cut off after a few words. Improved performance of phone numbers with varying formats when trying to initiate a call on iOS. Fixed an error when clicking the App Store link in the app’s about page. Various security fixes throughout several plugins to protect data from being exposed or manipulated by malicious users. Forms: Fixed maximum width of form images in Internet Explorer. Calendars: Fixed some icons not showing up in the Microsoft Edge browser. Maps: Fixed some special characters that got broken during an earlier update. Maps: Fixed autocomplete search on iOS. Meal Plans: Fixed some dates being incorrectly shown as off by one day. Fixed several rare cases that led to push notifications not being sent and improved performance of this functionality. When importing users with the same access code, the system will warn correctly and generate a random access code for all subsequent users. CSV import unnecessarily warned about email address changes where there was just a change in upper-/lowercase. Fixed a bug that prevented user group administrators without further permissions to add members to their user group. Fixed a minor issue where existing user group members are suggested when adding new ones. Adding a link to an image would sometimes lead to an error. Changing the protocol of a link (e.g. from "mailto:" to "tel:") would not work in some cases. Fixed unnecessary errors being shown when saving the menu in Chrome. The release has just been rolled out to your web app. Employees should see the update becoming available on their mobile devices as well throughout the day .